Royal Jelly (“Bee’s Milk”) contains protein, minerals, vitamins, amino acids, and other natural factors, including 10-Hydroxy-2-Decenoic Acid (10-HDA). It is this extraordinary nutrient rich food, than turns the common worker bee into the dynamic Queen Bee, making her a giant among her relatives, giving her enormous strength and extending her life many times over. Harvested and freeze dried within 48 hours (solvent free). 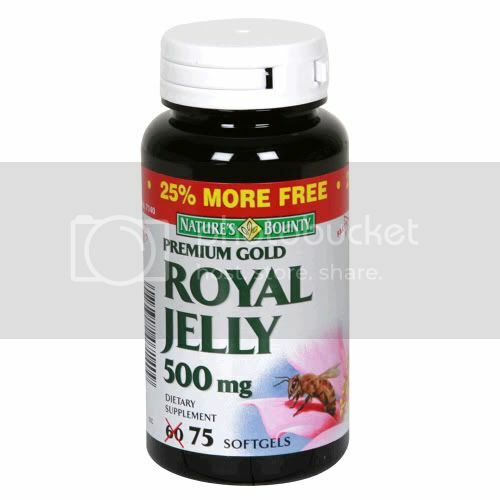 Assayed to contain at lease 3.5-4.0% 10 DHA (possibly the most important factor found in Royal Jelly. Hermetically sealed in softgels to further enhance stability. For adults, take one (1) softgel one to three times daily, preferably with a meal. Pregnant or lactating women should consult a doctor before using any product.Consult doctor before use if you have or have had allergies or asthma.Discontinue use and consult your doctor if any adverse reactions occur including allergic reactions (including rash or difficulty breathing). Not intended for use by persons under the age of 18. Tamper Resistant: Do not use if imprinted seal under cap is broken.